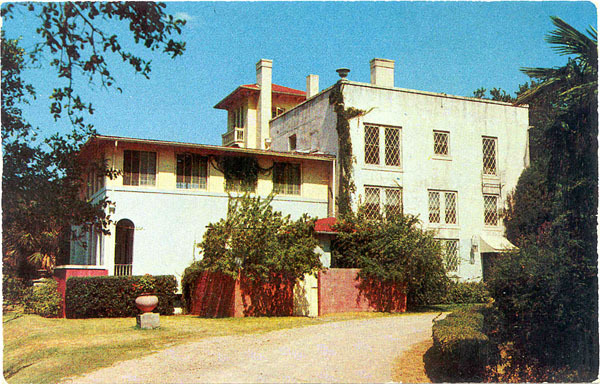 Text on Back: Laguna Gloria Art Gallery, 3809 West 35th St., Austin, Texas, is the former home of Clara Driskill and a present day mecca for the art enthusiast. Located on spacious and beautiful grounds over-looking the Colorado River, Laguna Gloria has several art exhibitions annually. Publisher: Don Bartels, 510 N. 7th St., McAllen, Texas.